Travelling back to the U.S. gives me mixed feelings. 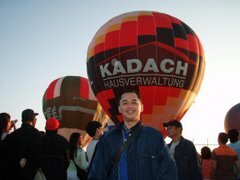 On the one hand, I dread the thought of leaving my comfort zone, the Philippines, because it is home, where family and friends are. Where you hear familiar sounds every day. Where eating good Pinoy food is not a matter of craving, but a matter of course. Taking time off to go to the beach or meet friends for a movie can be done at a drop of a hat, with no dent on the budget. On the other hand, home is also where the vicissitudes of dealing with the likes of Miriam are ever-present. But then again, one can't have it all. This trip is my trip back after staying 22 months in the Philippines. And my first through NAIA 1 in 4 years. After hearing so many bad things about NAIA, I braced myself for the worst. I left for the airport at 3 a.m., so it was a breeze getting a cab. My flight was at 8 a.m. but I wanted to go early because I'd had no sleep the night before. The cab driver was very polite, and did not try to get a fixed fare from me, despite my destination and my 4 bags (2 checked-in, 2 hand-carried). 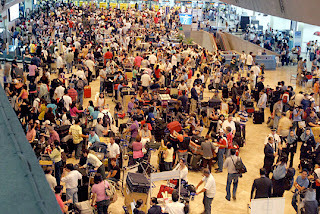 When we reached NAIA 1, there were already a lot of passengers lined up to go in. It was insane. There were porters who approached me (I assume they will get a fee out of this "service") to get me on the line for business class so I wouldn't have to like up with the rest. I refused. My advise to travellers using NAIA 1 is to be let off on the farther side of the departure area, since the line there is shorter. Despite the lines, it didn't take for me to get in the terminal. The officers in the terminal are well-adapted to the bedlam. There are no announcement boards for passengers to be guided on where to go to check-in, but there are officers - who smiled all the time - who will give you that information. I was dreading the Delta counters, because I'd heard of their poor service. And yet, I was proven wrong. The line, again, was fast and efficient, despite the huge number of passengers. (There was a woman who tried to whiz through by going to the business class line, but was politely told to queue with the rest of us hoi polloi). Next stop: the airport fee. Again, the lines were long, but moved fast. And the lady at the counter was courteous, smiling, and greeted me a good morning. Sweet! 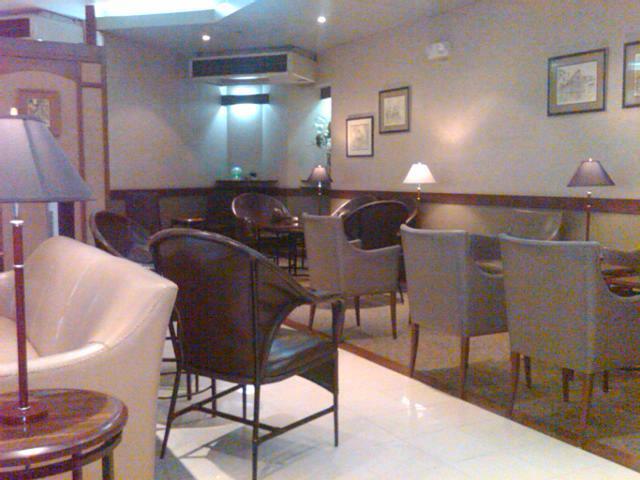 Thankfully, I have a Diners Club credit card, so I was able to use the MIASCOR Lounge for free. The food was not much (the lugao and chap chae were OK enough), the bar was complete, but the lounge is pangit: worn-out furniture, fake ficus, and weak internet. 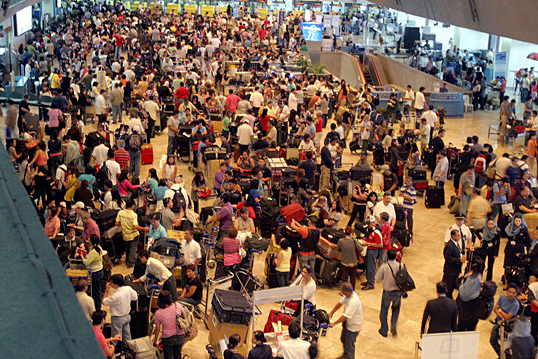 Worst of all, the entire airport had no aircon until 6 a.m. I paid P550 for a tipid-kuryente airport? Hay. Balanced conclusion: NAIA 1 may look crappy (the architecture to begin with is faulty) and the facilities may be crappy, but the people manning it are thankfully no longer the same corrupt and crabby civil servants of the 80s and 90s. Maybe management have inculcated in them a better sense of service and values, which to me is a reflection of how we Pinoys are: we are strong on service so we capitalize on this to compensate for our shortcomings in other areas, infrastructure for example. By the way, it took all of 40 minutes for me to go from the main entrance to the MIASCOR Lounge. Not bad!